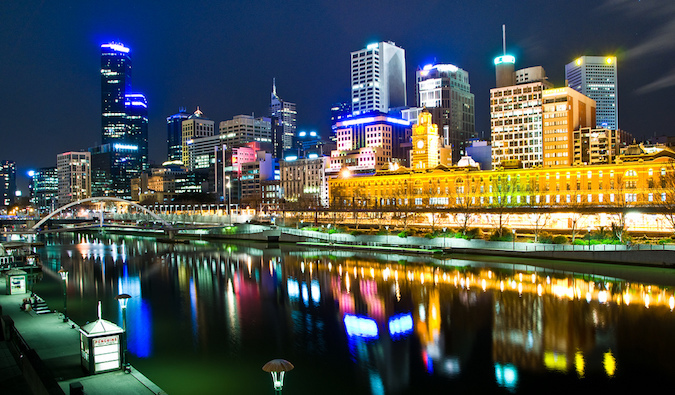 Melbourne is one of the funkiest cities in Australia. From its cool architecture to its robust art scene with hip cafés and music, Melbourne is often considered the culture capital of Australia. 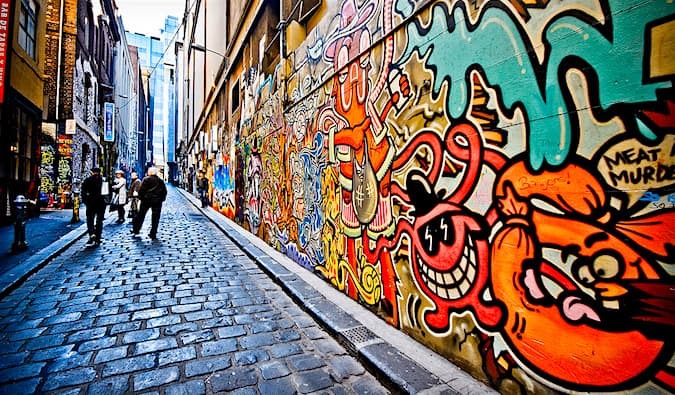 Its narrow lanes, covered in world-class street art, hide beautiful cafés and beer gardens. The city and I mix well together and it’s my favorite spot in the country. There’s so much to see and do in this place that today, I want to share with you some of my favorite things about Melbourne so you can know the best things to see during your visit! Hands down the highlight of my visit, I loved the street art tour run by graffiti artists from Blender Studies. It’s pricey at $69 AUD, but the cost of the tour helps support local artists and includes drinks and cheese at the end. I learned so much about the art scene in the city and developed a much deeper appreciation for why Melbourne attracts so many artists from around the world. I can’t recommend this tour enough. The State Library of Victoria is a historic institution that sees 8 million visitors a year. Originally built in 1856, the library has grown into an event space that’s a source of pride for city residents. Come here before it opens and you’ll see a queue of people ready to pounce on the open desks. The famous central rotunda with its octagonal shape, original dark wood furniture, and book-lined walls is definitely something not to miss. There are a number of free tours of the library to teach you more about its history and striking architecture. This outdoor market is a mix of food sellers and knick-knack vendors — think flea market meets food market. During the week, the food hall is the main draw, but the weekend offerings are bigger, as sellers fill up the outdoor vending space. When you’re in the food hall, be sure to get some free wine samples from Swords Wines; the staff is friendly and the wine is cheap (I bought two bottles for some afternoon drinking in the park!). More than just a means of free transportation, the City Circle Tram provides “hop-on, hop-off” service between Melbourne’s sightseeing attractions, including Federation Square, the Old Treasury Building, Parliament House, and the Princess Theater. There’s a running recorded commentary as you pass or stop at a place of historical, cultural, or architectural significance. Right along the route of the free City Circle train and across the street from Flinders Street Station lies Federation Square. This open square also serves up stellar people-watching. I like to take lunch here and just watch the city go by. Below the square on the river are also a number of restaurants and outdoor bars. 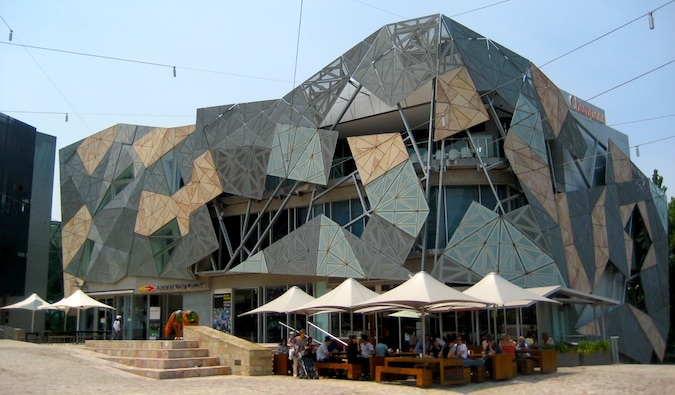 Located in Federation Square, this is the home of the National Gallery of Victoria’s Australian art collection. Admission to the permanent collection is free (but fees apply to special exhibitions). It’s one of the best free activities in the city. The collection only takes a couple of hours to see. The Royal Botanic Gardens contains gardens covering 86 acres and features thousands of flowers, shrubs, and trees from across the country and around the world. Hanging out here and wandering around is one of my favorite activities in Melbourne; I usually spend a good half-day walking around, relaxing, and reading! Free guided walks or self-guided audio tours are also available from the main visitors center. The café culture in this city is part of its soul. Everyone here loves to have coffee or tea and a snack while doing some work or chatting in some arty café. Don’t miss doing this either. 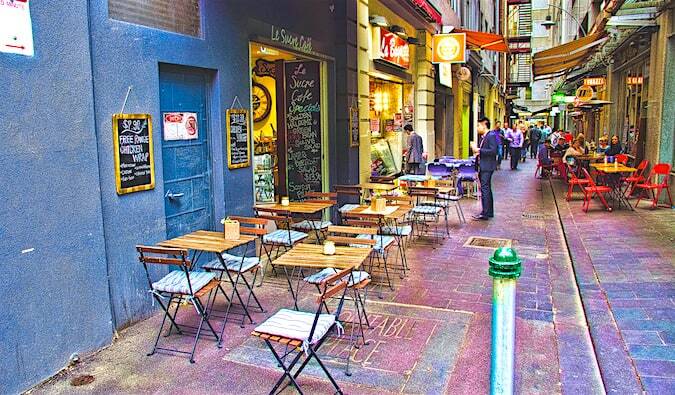 You can take the café tour with Melbourne Coffee Tours or Café Culture Walk to learn more about why Melbournians love their cafés so much and then spend an afternoon with a good book at your new favorite spot. I really enjoy the café 1000 £ Bend in the CBD (central business district). Now over 160 years old, this estate is a mix of classic Italianate architecture and Australian regency, and it is considered the best of the historic houses in the city. The Immigration Museum is located in the Old Customs House and primarily features relics of Australia’s immigration history. I really enjoyed learning about the people who left their homes to move to Melbourne and, knowing the current political situation, I found it slightly ironic, given that Australia (like the US) has recently become very outspoken about keeping its doors shut. Fitzroy Gardens is one of Melbourne’s most historic and beautiful gardens. Created in 1848, this Victorian-era garden is meant to look like the English gardens the early settlers left behind. A free guided walking tour departs from the visitor center every Saturday at 10am. The Melbourne Museum showcases Australian social history, indigenous cultures, science, and the environment. It’s located next to the Royal Exhibition Building and Carlton Gardens. The highlight of the museum, for me, was the extensive Bunjilaka Aboriginal Culture Center, which highlighted aboriginal culture, art, and history. Down in St. Kilda, you can head to the beach to watch the sunset. It’s a beautiful, wide beach, but the water is a little too cold for me! However, it faces due west, so you get some stellar sunsets! Wine tours are very popular in this area. The Mornington Peninsula is a famous wine-producing region about 45 minutes from Melbourne and is home to more than 40 wineries. There are a lot of day trips available to the Yarra Valley too (which is where most tours take you). If you don’t have a your own car or don’t feel like spending the night in the area, day trips from Melbourne cost $140-200 AUD. Located a few hours from the city, Phillip Island is a weekend hot spot for locals looking to enjoy some beach time. The island is renowned for the nightly penguin parade (when thousands of penguins return from the sea to nest), its koala sanctuary, and the huge seal colony that lives offshore. 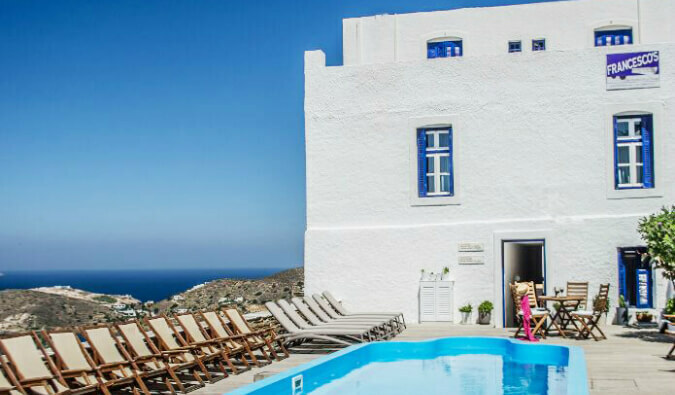 The island can be visited as a day trip, but due to infrequent buses, I would recommend spending at least a night here! Between all the various day trips and the plethora of activities in the city, you won’t find yourself short on things to do while you’re visiting Melbourne. It is my favorite spot in Australia and you’re going to fall in love with the food, cafes, beaches, and parks. This list of best spots will keep you busy for days. Base St. Kilda – This is a great party hostel. They host all sorts of parties (silent discos, foam parties) and also offer free pancakes! Matt-Thanks for the great recap of your experiences in my home city Melbourne! Cool list. I agree with all that. If you are like me somebody who walks a lot, may I also recommend walking from the city center, to Port Melbourne along the water to St Kilda Pier and back to the city center via Albert Park? A good length flat and easy walk of 20km. Stop at Acland Street in St Kilda for coffee and cake along the way. Or at any of umpteen other places. I never grow tired of this walk. Heide Museum of Modern Art is a wonderful museum. 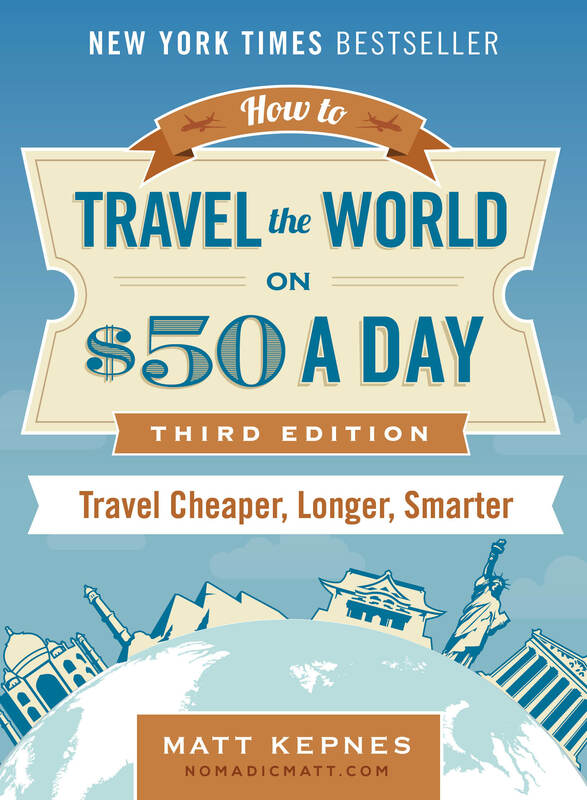 Definitely bookmarking this! I plan to go to Australia for the first time in early 2017. Thanks for sharing, Matt! I’ve never been to Melbourne, and this just makes me want to go even more! This website never ceases to inspire!! Thanks for the great suggestions Matt! My favorite thing to do was taking a helicopter ride over Great Ocean Road and seeing the 12 Apostles. It was a breathtaking adventure. Great list of fun places to visit in Melbourne, my favourite city in Australia. I also wrote a blog post about my favourite things to do in the city. I recently discovered the Curtain House Rooftop Bar on Swanston Street offering a magnificient view, of the city and cinema under the stars (only in summer though). Great post, but don’t forget about the sport! We Melburnians love it and secretly (or not so secretly!) think we live in the sporting capital of the world; Australian football, tennis, Formula 1, soccer, rugby – just to name a few! A hearty second to a visit to the Yarra Valley wine region. 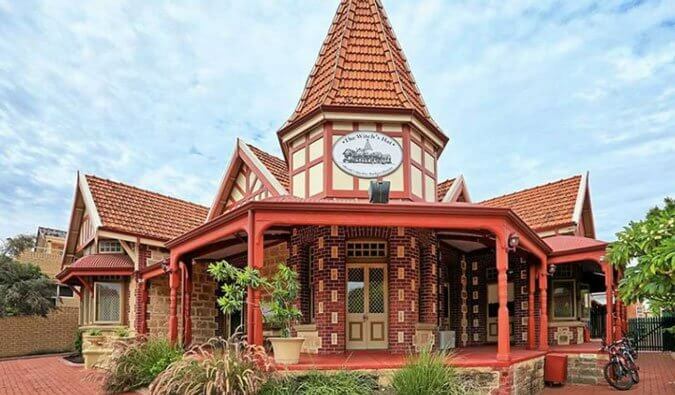 Wineries: Coldstream Hills, Coombe, and Acacia Ridge stood out for me. I didn’t even realise they did a street art tour! Thanks for the heads up, will definitely do it next time I’m around. Ahh this made me so nostalgic for my time living in St. Kilda. Great post! Gotta visit the MCG when in Melbourne. This is perhaps the most famous place in Australia for many. Sport is at the centre of Aussie culture and Melbourne is the sporting capital of Aust and possibly the world. Going to an AFL or Cricket game there is a must!! Woo! I love that you included Phillip Island! I’ve been going there every year since I was born and have been playing around with the idea of one day opening a hostel in Cowes… I just couldn’t decide if it was on the backpacker trail or if I had a special love for the place. It’s inclusion definitely helps me believe I should do it! I know that the Great Ocean road is exactly Melbourne (but neither is Phillip island), but I must say my favorite moments in & around Melbourne was the great ocean road, phillip island, peninsula hot springs & the Queen victoria market. Melbourne sounds like an interesting city. Lots of art and culture. It is nice to know that there are wineries so close to the city as well. I would love to visit! Great Post Matt, was wondering if there is a “must see” in Melbourne when traveling with two young daughters? Melbourne, the best city in the world. 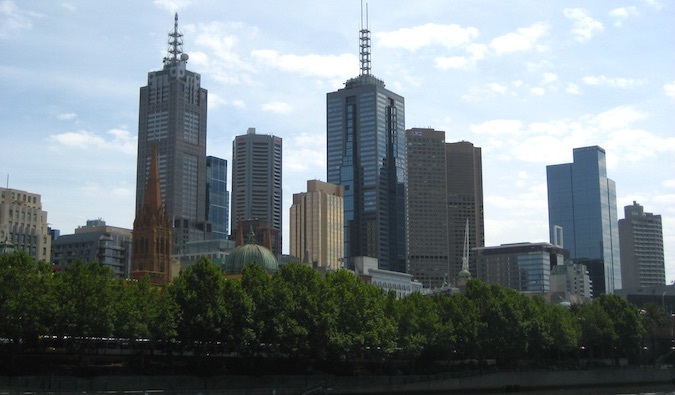 Hi, I\’ve been to Melbourne a couple of times while my daughter was studying there. In one of the trips, I took the picturesque ride on Puffing Billy and drove back via Sasafras. It was a great experience never to be forgotten. I will also recommend the day trip to Ballarat at the Gold mines. I’ve visited Melbourne five times and I still truly can’t see what all the fuss is about, I really do try to see it but I don’t understand how people prefer it over Sydney. Each to their own, hey? Great list though! I have been in Australia for nearly a year, I have visited Victoria, NSW, Queensland, SA, WA and am planning to go to NT. Based on your advice I visited Queen Victoria Market, I really enjoyed it. I much preferred the market to buying food from a multinational supermarket. The prices were not much higher than at the supermarkets, it meant even on my backpacker budget I was still able to enjoy the market. I was glad you recommend people do a day trip to Philip Island. Australia has over 500 national parks and over 10k beaches, I find it a shame how some backpackers spend their whole Australia trip in Melbourne, Sydney and Cairns. I’ve visited Melbourne 2 times and love this peacefull city. Great list! I lived in Melbourne for 5/6 months and I think I did most of these myself! I didn’t know you could do a street art tour actually! It does sound a bit pricey at $69, but if you learn a lot about the artists then it would be worth it! The moonlight cinema is great as well, I loved visiting that! As Melbourne is a massive sporting city and essentially home to Australian Rules, I would include a visit to the MCG as well! Even if you don’t like sport, I feel it’s worth visiting to see the stadium, the olympic park and the Australian sports museum! means want to worry a couple of single issue related to your containers. inexperienced has been nothing but a noble international pursuit. Hllo there! This blog post couldn’t be written much better! Movie at the Royal Botanical Park, I missed those days. Love that place and yeah it’s cold. I need to visit Immigration museum in near future. I loved visiting Melbourne so much I moved here. Now offering weekend guided hikes for small groups through trails in the Dandenong Ranges. I provide snacks and one of my life coaching books as a gift for coming along. The 4 hour experience includes 3 hours walking/hiking (based on on fitness levels of participants). We also stop for snacks and life coaching-related chat. Check out Dreambuilders Australia Blog for link to book this airbnb experience 1 hour from Melbourne CBD. Drive to rendez-vous point or take public transit. Nice article Matt. I’m on my way to Melbourne soon and you’ve given me some great ideas. I’m glad you included the penguins, that’s one of our favorites. I think I need to head to St.Kilda next time around, also the street art tour looks cool. Great write up. The best thing I have done recently in Melbourne is hired a picnic boat on the Yarra River though GoBoat Melbourne. Very affordable, especially if you get the max 8 people on board and a great way to experience the city from the water. I was in Melbourne a few months ago and absolutely loved it! The laneways and arcades are great for wandering around. I also really loved the Ian Potter Centre. The aboriginal led tour of the royal botanical gardens is also worth checking out. Another thing I’d recommend is an ‘alternative’ tour with a company called Wayward Wanders. The tour guide was incredible! Lots of info about aboriginal history and culture, music, street art and that kind of thing. Don’t forget to drink a lot of coffee! Industry Beans was one of my favourites!